Before you get a good spot at the finish line, study up on the world-class athletes running in this year's race. The Kenyan, 26, ran his first marathon earlier this year in Boston and finished with the second-best time ever recorded, though the results were unofficial due to the ineligible layout of the course. 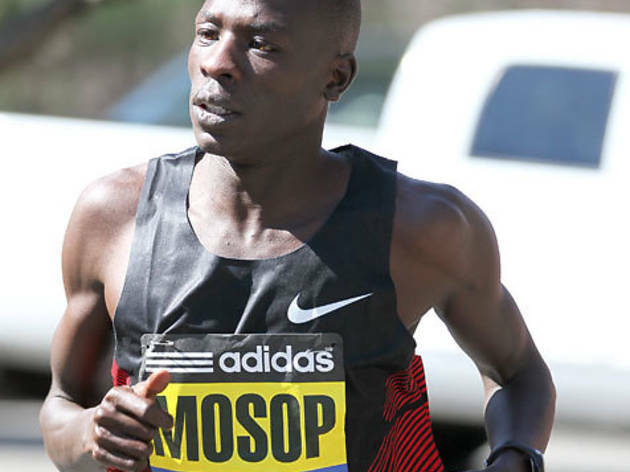 Mosop, who raises cows on his farm back home when not running, hopes to best his time of 2:03:02 on Chicago’s regulation course. 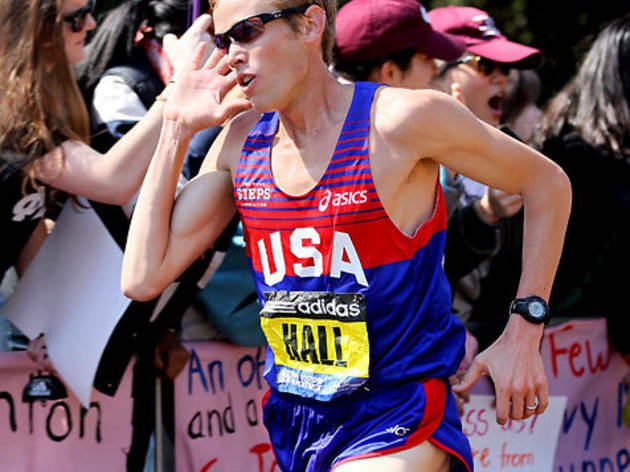 Hall, the top American in this year’s race, finished fourth in Boston with the fastest time ever run by someone from the United States. 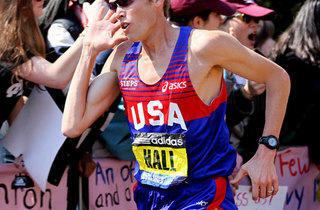 He finished tenth at the 2008 Olympics, but he figures to represent his country well on home turf. This 21-year-old from Ethiopia is widely recognized as the marathon’s junior world-record holder, though this title is unofficial. Worku impressed last year in Berlin, where he became the youngest runner ever to finish in under 2:06. 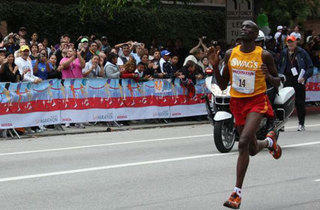 Hailing from Kenya’s Rift Valley, Cheruiyot—who doubles as a trained mechanic—has already won once in Chicago, in 2008. After a brief slump, he has rebounded in 2011 with his second-place finish in Dubai earlier in the year. 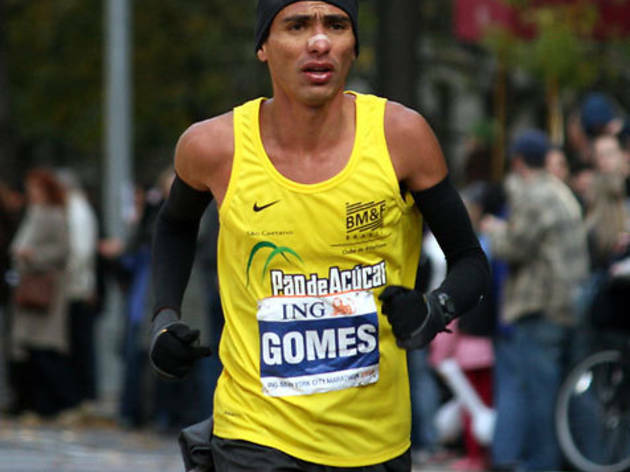 This Brazilian is South America’s most prominent marathoner, and though he’s been competing since 1997 he hasn’t lost his ability, setting a personal best time of 2:06:34 in London in April. 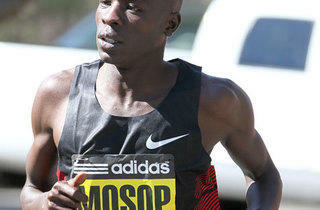 Another Kenyan competitor, Kipyego made the transition to marathon running just last year. 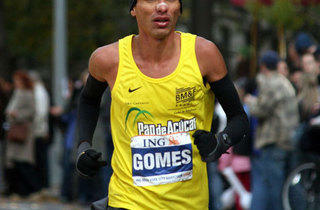 He set his personal best of 2:07:01 at his first race in Rotterdam, and finished second at this year’s Paris Marathon. 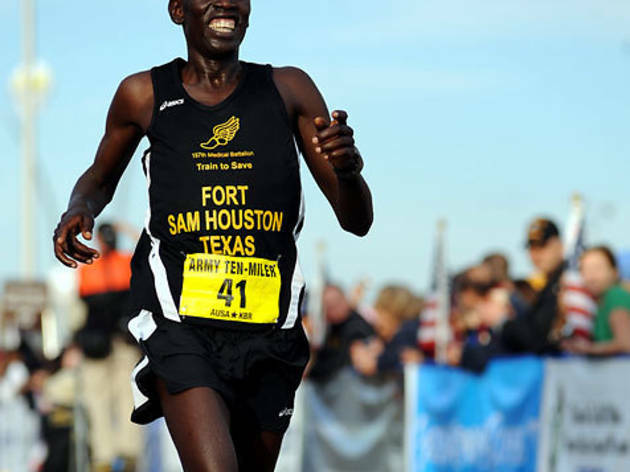 Daba, an Ethiopian, just made his marathon debut near the end of 2010, but dazzled this past January in Houston, where he set a Texas record with a time of 2:07:04. He finished four minutes ahead of his nearest challenger, even after taking a bathroom break mid-race. 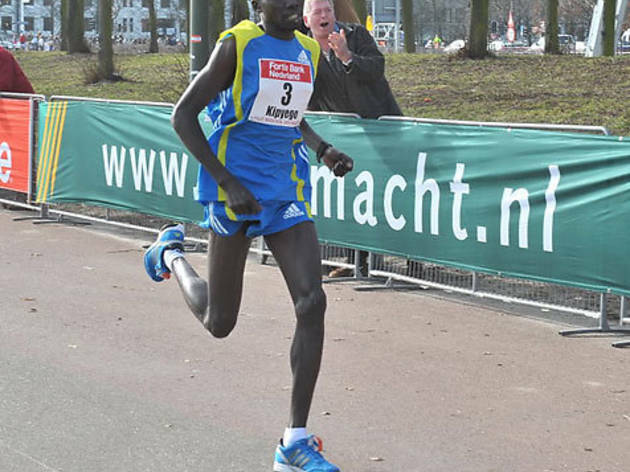 Sato holds the half-marathon record in Japan and rarely races outside of Asia. 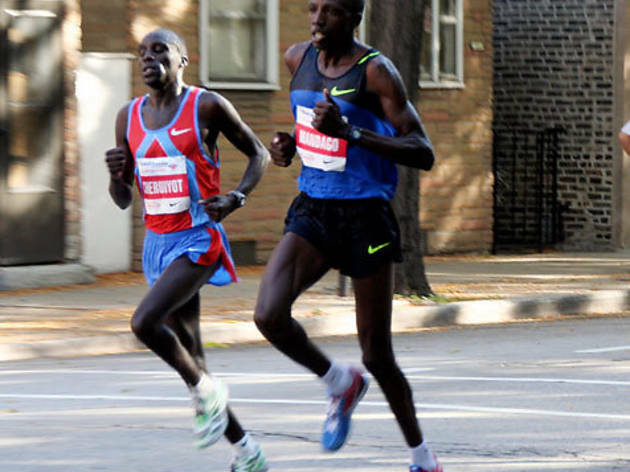 He last raced in Chicago in 2005 but since then has improved his best time by almost 12 minutes. 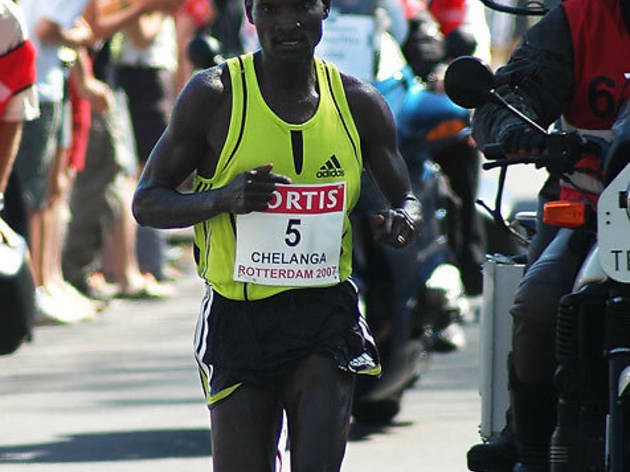 Chelanga’s last win was in Seoul in 2007, but the Kenyan brings more than 13 years of international competitive experience and a personal best time of 2:07:05 to Chicago (talent that runs in the family—his younger brother Samuel won the NCAA Cross Country championships for Liberty University in 2009 and 2010). Rounding out the top ten is its fifth Kenyan, though Korir raced in America as a student-athlete at the University of Louisville. 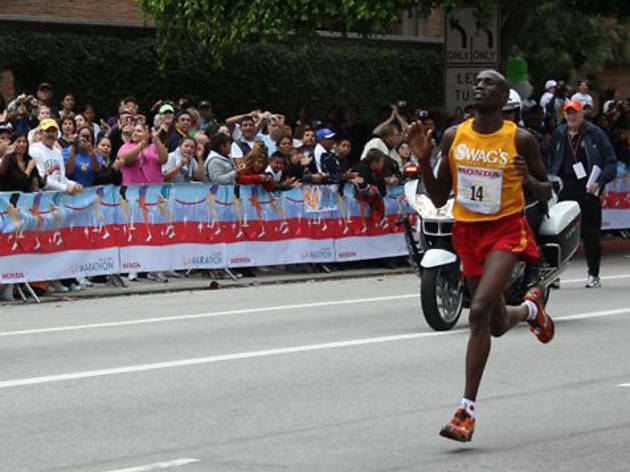 Born poor in Kenya, his distance-running ability won him a college scholarship to the States, where he won back-to-back Los Angeles Marathons in 2009 and 2010. The veteran Russian is the runner to watch, easily the favorite in 2011’s race as the back-to-back winner in Chicago in 2009 and 2010. Known for her incredible closing ability—in Chicago two years ago she won with a final 2.2 km that is one of the fastest splits in women’s marathon history—Shobukhova is coming off a second-place finish in London earlier this year. While Tafa finished 11th in London this year, the 27-year-old Ethiopian has won multiple international competitions and boasts a personal best time of 2:21:31. 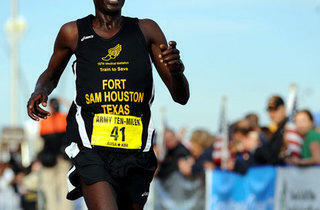 She also comes from a running family—her husband, Tola Debel Gudeta, is a professional marathoner as well. Abitova is another formidable Russian who brings years of high-level experience into Chicago this year. Though this will be her first race in 2011, she finished second in London last year (behind countrywoman Shobukhova). The pride of Australian distance running, Willis set her personal best time of 2:22:36 in Chicago in 2006. She has not competed in a marathon since 2007, but has overcome the injuries that sidelined her and is looking to set even more Australian records. China’s top entry into this year’s race, Yanan brings more than ten years of marathon experience into her first run in Chicago and a rare appearance in a marathon outside Asia. She finished second earlier this year at both the Military World Games in Rio de Janeiro and the Seoul Marathon. The third elite Russian competing in Chicago this year is Konovalova, who set numerous national distance-running records before transitioning to marathons in 2010. She set her personal best time of 2:23:50 in a third-place finish in Chicago last year. The 36-year-old Frenchwoman brings a long and impressive résumé to her first Chicago race, having recently finished second in Paris in 2010 and third in New York in 2009. 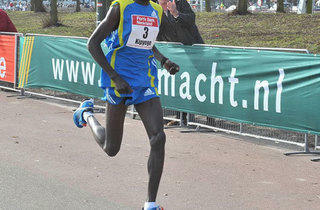 Daunay, who has worked as a psychotherapist, owns a personal best time of 2:24:22. Besuye, from Ethiopia, burst out of the gate, finishing second in her debut marathon in Dubai in 2009 and first in Berlin later in the year. She slumped briefly, with a disappointing showing in London in 2010, but has surged back this year with wins in Dubai and Daegu, South Korea. Gebre is a native of Ethiopia but lives and trains in Flagstaff, Arizona—both places with high elevation that have helped her develop as a runner. She won her debut marathon in Honolulu in 2010 with a time of 2:32:13. Fukushi is a highly decorated Japanese distance runner who some see as a dark horse challenger to Shobukhova’s Chicago reign, despite a disappointing finish in her very anticipated marathon debut in Osaka in 2008. She won her third half marathon in Marugame, Japan, earlier this year.